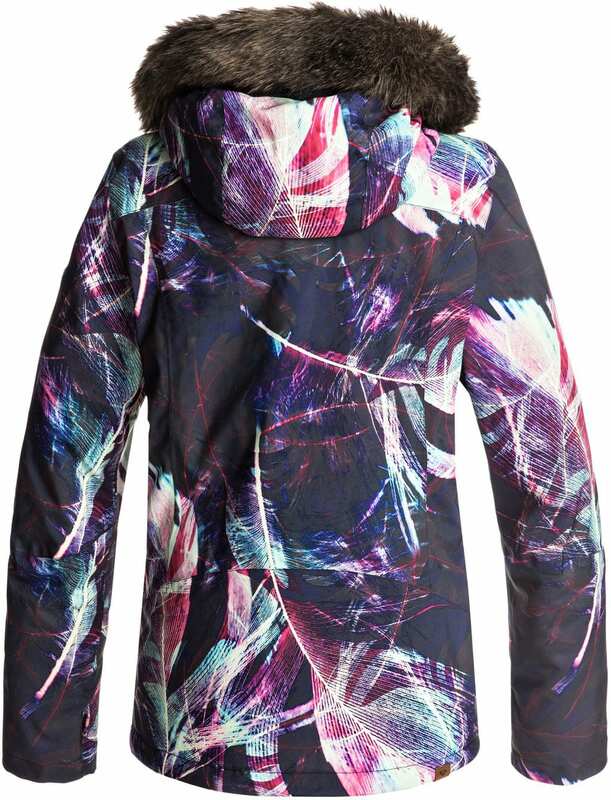 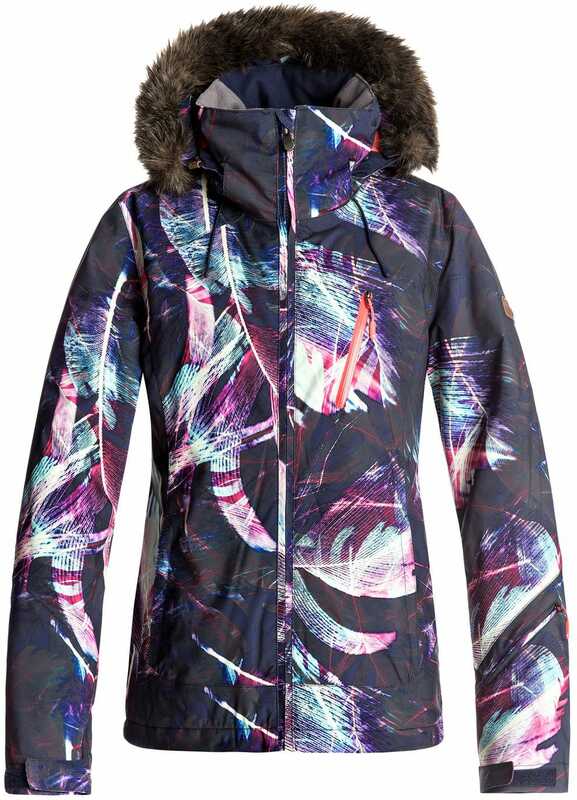 Bold monochrome prints and swirls of vivid feathers make this 15K snow jacket for women a standout piece this winter. 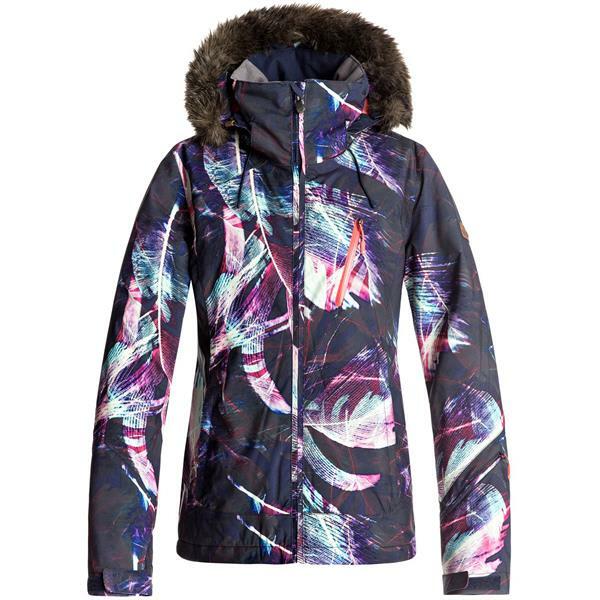 From off-piste to après-ski, its form-fitting slim silhouette is both feminine and flattering and comes complete with excellent waterproofing and warmth to keep you comfortable on the mountain. 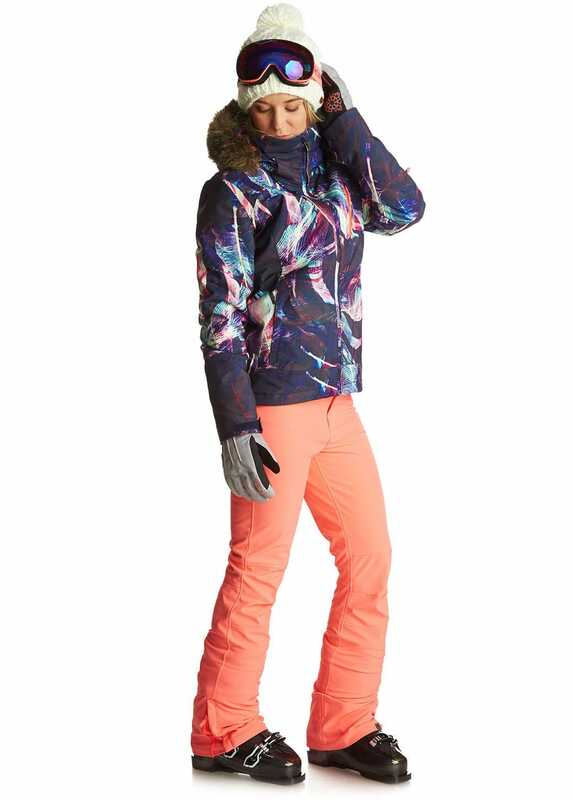 Work with the skinny-fit Creek pant in neon grapefruit for stunning snow couture. 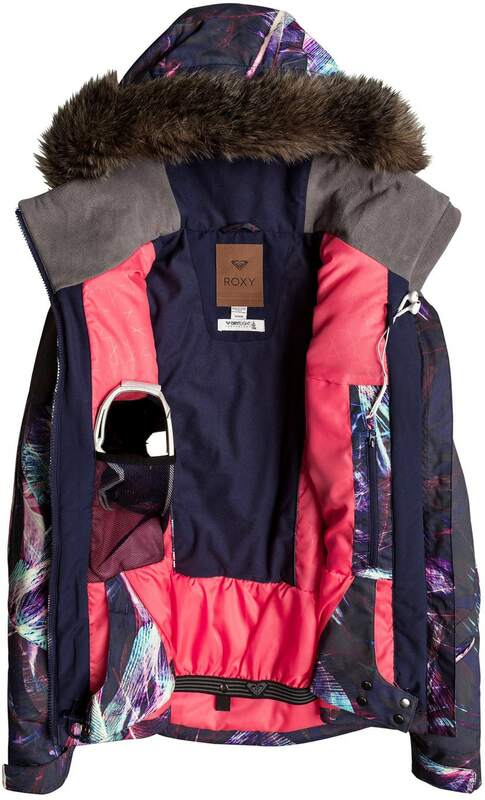 Comes complete with integrated Enjoy & Care moisturizing collar.